A passport is an officially issued government document proving a person’s identity and citizenship of the issuing country. Its purpose is to permit a person’s travel outside their home country, and in most cases, to ensure certain protections within the foreign country. One could assume that the application process would be almost identical from country to country. In fact, there are a number of differences between the application process in the United States and other countries of the world. Passports in the US are issued by the State Department. First time applicants must go in person to either a passport agency or passport acceptance facility. 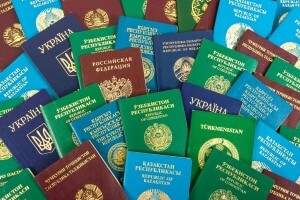 There are Regional Passport Agencies located in many major cities across the country. In more populous states like New York, there may be more than one location. Passport acceptance facilities are located in most post offices and some town halls. US citizens can prepare a passport application online, but at this time, it cannot be filed electronically nor mailed in. Renewals, however, can be requested online. After forms have been completed, they must be printed and presented to the proper authorities. Passports in many other countries, such as Spain, are issued through the Ministry of Foreign Affairs. In the United Kingdom and Northern Ireland, passports are issued by Her Majesty’s Passport Office, an agency of the Home Office. Canada has established a stand-alone agency called Passport Canada, whose personnel deal solely with passports and other travel documents. A few countries allow for those applying for a passport for the first time to do so by mail without the need for an in-person appearance. Application forms can be printed or obtained from one of the country’s passport offices. Upon completion, they can be mailed to the passport issuing agency along with the required documentation. Two of the countries not requiring an in-person application are Canada and New Zealand. Some countries, such as Brazil, require citizens who wish to apply for passports to do so at federal police locations. Completed passport application forms are a requirement of all countries when issuing the official travel document. Other documentation must be provided, but this can differ from country to country. Americans must present either an official birth certificate, a Consular Report of Birth Abroad, or a Certificate of Naturalization as proof of citizenship when applying for a passport. Those from other countries, such as Ecuador may only need to provide their National Identification Card. Citizens from countries such as Albania must present both a birth certificate and National Identification Card. Passport photos must be submitted and some countries,such as the United States, have strict requirements relating to background colors and attire worn during the taking of the photos. While the United States requires an applicant to present two photos of a specific size, many other countries require up to five photos to be included with the application. There are also several countries that require official proof of marriage and divorce before issuing a passport. Citizens of Paraguay must provide such documentation. US passports are valid for ten years from the date of issue for adults and five years for minors. Although a great percentage of countries have the same validity period, some countries like Canada and Japan offer its citizens the option of applying for a five or ten year passport. Other countries have validity periods that span five to seven years. Countries like New Zealand cite security reasons for offering passports for only five years. Some countries use to allow its citizens to extend the validity of their passports, but more and more citizens of different countries are being required to renew their applications instead. Most offer the ability to do this online. Processing a passport application in the United States takes an average of four to six weeks. The document is usually mailed once processed. Individuals who are in need of their passport sooner can visit one of the passport agencies to request an expedited application. This process is much longer than most other countries. For instance, the average processing time in Australia and New Zealand is two and a half weeks. Still other countries will not mail passports out, and applicants must pick them up in person. First time passport applicants in the United States will currently pay $135 for a passport but the fee differs considerably from country to country. For example, the fee in US dollars for a passport in Australia is currently $244.